Roses aren’t just for Valentines Day! They are also for Birthdays! 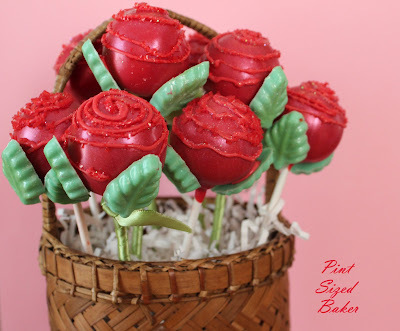 Over the weekend I got a request to make Rose Cake Pops for a Valentine Birthday! The best of both worlds! Roses were one of my first “designer” cake pop creations so I was excited to make a new batch with my much improved skills and accessories. First off – I have Luster Dust!!! I used CK Products Tulip Red which I purchased at Kitchen Krafts. Second – I have a leaf mold! 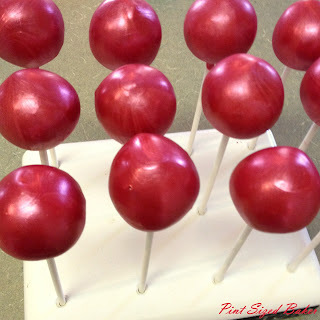 I am not going to go into detail on how to make cake pops, sorry… but you can see my YouTube videos here and here to learn how I make my cake pops. 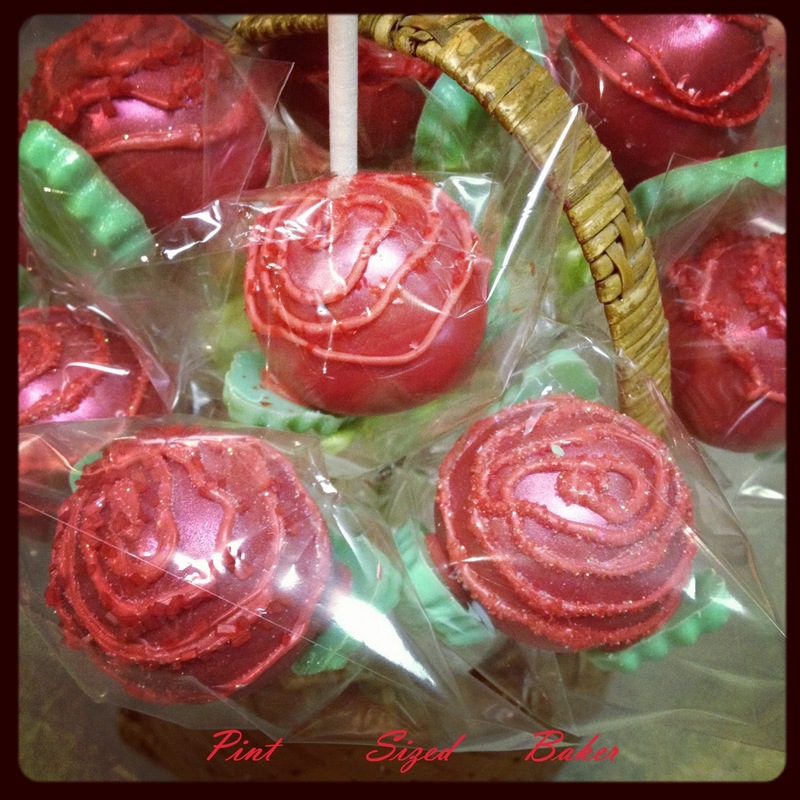 I dipped my pops into Red Candy Melts and allowed them to dry. To make them super shimmery I added my dry luster dust to the pops and if they could, they would’ve sang! Watch my video to see how I add the luster dust. See how beautiful!!! Love the effect! 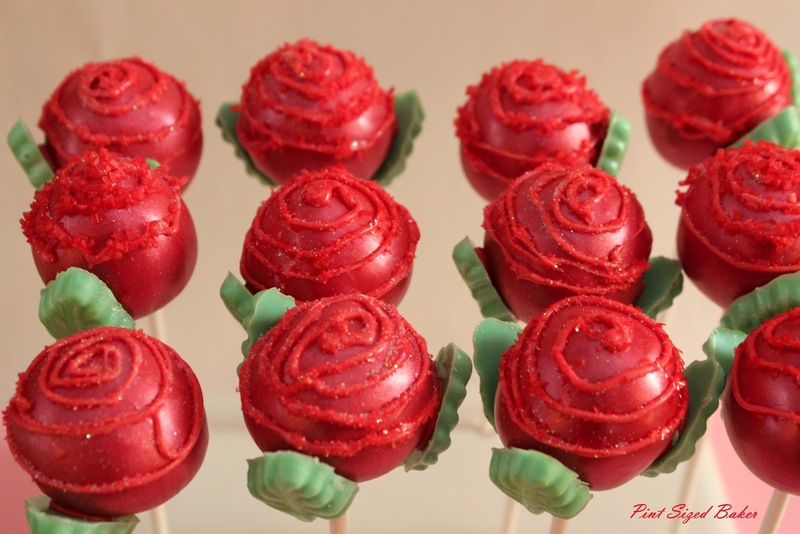 To make the rose effect, I simply made a spiral around the top half of the rose using a red chocolate “pen” and then sprinkled it with various styles of sugar crystals. To make the leaves, I added green candy coating to my mold and allowed it to dry. Then I added some green luster dust to the leave to give them some shimmer as well! I think that version 2.0 is so much prettier than the ones I was making a year ago! I hope the Birthday Girl Loved them just as much! Like my Instagram Picture?? You can follow.me as here as well! I love to Party with these wonderful bloggers! Just INCREDIBLE!!!!!!!!!!!!!!!!! These are fantastic! Just found your blog and LOVE it! These pops are too cute! love them , they look so adorable !!! I love how these turned out!!! And the luster dust…gave it the perfect shimmer!!! Adorable!!! Wow, these are beautiful! I had to show my family! You did such a nice job! There to pretty to eat. These are too cute~! I'm featuring them at somedaycrafts.blogspot.com. Grab my "featured" button. 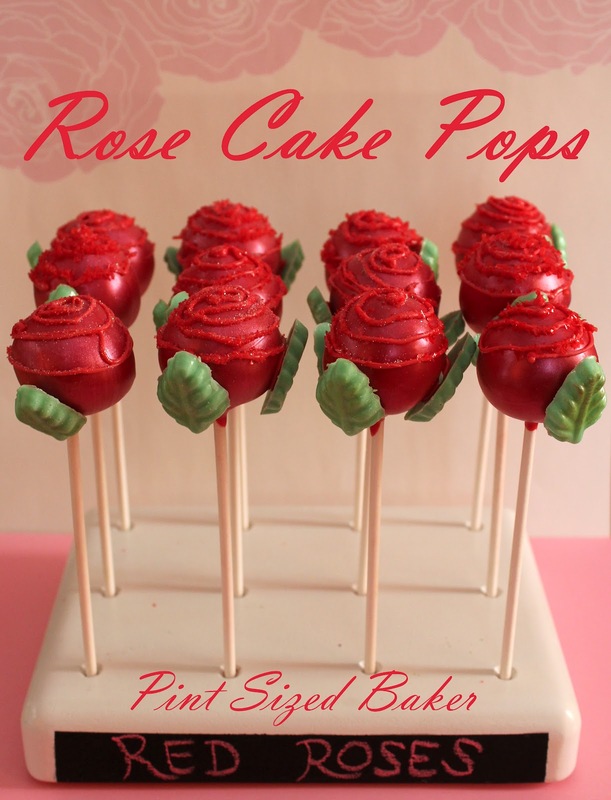 How do you display your cake pops? I tried putting mine in a foam block and it kept falling over because they are so top heavy! I put foam in a vase and the cake pops made the foam fall out. Is there a sturdier foam or am i missing something?